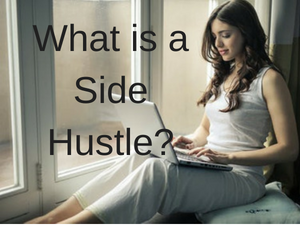 The term “side hustle” has been getting very popular lately, but there are a lot of people who haven’t heard of it or know what it’s all about. So what is a side hustle and how can it work for you? Let’s check it out and see if it can help build your early retirement! The Easiest Side Hustle To Start! 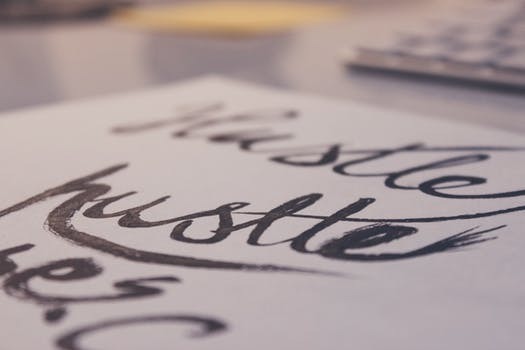 There are many definitions of a side hustle, but here’s how I define it: Something you do to make extra money on the side that is independent of your regular job and dependent upon how much you hustle. Working extra hours at work or getting a part-time job somewhere is not a side hustle. Say that you love to write and love reading books. So to earn some extra cash you get a part-time job at a book store. This is not a side hustle because the book store is in charge of how many hours you work, when you have to be there, how much money you make, and they can discontinue your job at any time if they don’t need you anymore. No matter how much effort you are willing to put into it, you are limited to whatever opportunity that the book store is willing to give you! But if you take your love of books and writing and create eBooks that you start selling online, that is a side hustle! You are in control of how many eBooks you write, what platform you sell them on, what topics you write about, what you sell them for, and what they look like. In other words, how much you hustle is the determining factor in whether or not you make money and how much! Now you might be thinking, “But with a part-time job, you will be getting paid regularly and know how much you’re going to make, so isn’t that better?” If that income and security is something you need now, then yes, getting a part-time job may be the best choice for you. You can work as little or as much as you want to, which makes fitting it into a schedule with your regular job much easier. I worked as a rural postal carrier sub when I started my online business as a side hustle. I was only guaranteed 1 day a week on my job and was on call 5 other days. It worked well with my family obligations, but was almost impossible trying to find a part-time job that could arrange hours around this type of schedule. So to make more income, I worked my online business whenever I wasn’t being called in to the post office. Your income is only limited to the time and effort you are willing to put in. In my example of selling eBooks, the more books you write, the quality of them, and the more experienced you get at selling them are all ways you are in total control of how much money you can make. You can fit your side hustle into your family schedule much easier than with getting a part-time job. Don’t want to miss any soccer games, need to schedule appointments, or want to drive to the beach for the day with the kids? 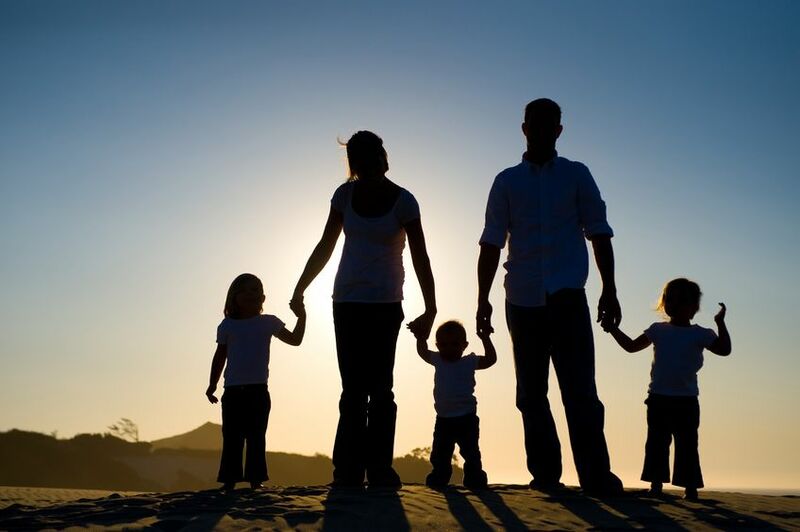 Instead of trying to fit all of your family activities around a part-time job, many side hustles can be worked around your family life! You can choose to do something that you are passionate about. Most of the time, part-time jobs that revolve around things you are passionate about or enjoy a great deal are few and far between. So you settle for whatever fits your schedule and pay the best, no matter how much you like the work. But you can choose a side hustle that fits with what you really enjoy doing and create opportunities in areas you are passionate about! Typically, a side hustle usually doesn’t have a lot of upfront costs to start. You can start small and build up from there. Many of them are services that you can perform, which can require very little capital most times. Some side hustles take a little while to get going before making any substantial amount of money. A friend of mine worked part-time when her children were young, but she wanted to make more money. She had some bookkeeping experience, but would’ve had to pay expensive daycare costs if she got a regular bookkeeping job. So she started finding opportunities to do bookkeeping from home for some small businesses in her area. She started with one company, but it took her about 2 years before building this side hustle up enough to bring in substantial income. However, once it took off, she was making a full time income from home working about 20 hours per week–so her patience and hard work paid off! You’ll need to sacrifice some, if not a lot, of your free time. Starting a side hustle will take time and commitment, sometimes more than what you thought. But the reward of financial stability and independence is well worth it when you achieve success! So the easiest side hustle you can start is also one of the most profitable–Affiliate Marketing! 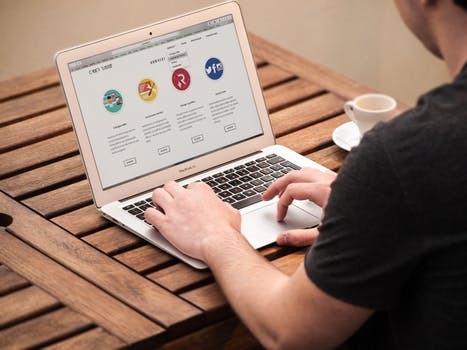 If you have a laptop and an internet connection, you can create your own website in minutes and start an online business to work from home. Don’t know how to create a website or become an affiliate marketer? That’s OK! My #1 rated program has everything you need to build a secure WordPress website and get full training that teaches you everything to make long-term, consistent, substantial profits. It’s Wealthy Affiliate, and it’s awesome! One of the very best features is access to an active community forum where you can get help, support, and mentoring from experienced marketers around the world! It’s an amazing spam-free environment where newbies can learn and get answers to their questions. Think it’s expensive? Affiliate marketing is one of the most low cost ways to start a side hustle there is! Wealthy Affiliate has a starter program where you can create 2 websites and get training for free–they don’t even require a credit card! You need to understand that affiliate marketing is not a get-rich-quick program, and you can’t go into it with the mindset that you’ll make money right away. If you need income fast, another side hustle is for you. Affiliate marketing is a business where you build a foundation that will pay you profits down the road. While it’s one of the most lucrative–you can make $100,000 a year, even part time–it can take months before you start making any money and longer before making consistent income. A good general guideline can be found at How Long Does It Take To Start Making Money With Affiliate Marketing? So where do you find ideas and opportunities to start a side hustle? First you want to turn to the things you love to do or are passionate about. For example, do you love to find hidden treasures at flea markets and garage sales? You could clean them up or re-purpose them and sell them on EBay! 20 Money Making Crafts You Can Do! How about you? Are you thinking of starting a side hustle? Let us know your thoughts and ideas in the comments below! Great post ! Creating a side hustle certainly takes time and effort but since you are doing something you truly enjoy it’s more play than work. Of course you have to have time to put into it and the patience to nurture it as it grows but the rewards can be huge as you begin making money while having fun and following what you are passionate about. You are so right! When I started my blogs and affiliate marketing, the aspect I loved the most was being able to write about things that I was passionate about. Although it takes time and effort, I can always find ways to reinvigorate myself into the business because of how much I love the topics! Hi there, Janelle. I’m already working online and always looking for a side hustle to make some extra money from. Can you suggest any good Affiliate Programs I can promote on my websites? Love the idea of your Side Hustle post because working for a Boss in regular work is hard enough. Taking on a second job in the same circumstance is very exhausting and not really sustainable for the long haul. 1. Do a Google search with your niche followed by a plus sign and the words “affiliate program. For example, if your niche is gardening, you would search for “gardening + affiliate programs” in Google, and you will find programs to check out. 2. Search through one or more of the affiliate networks available, such as ShareASale, Clickbank, or CJ Affiliate. You will be able to find a whole array of affiliate programs that should relate well to whatever niche you have chosen. I hope this helps and good luck with your online business, Jeff! Hey Janelle! This is such a well-written post. I also do believe that a side hustle is a great way to nurture your passion and make some money with it. Of course, it can be a bit difficult especially towards the beginning. 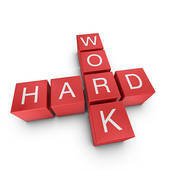 But, with patience and satisfactory rewards, it is much better than a part-time job. I totally agree! If someone needs extra money right now, getting a part time job may be the answer for them. But if they have the ability to take the time to develop a side hustle, they have the chance to make long-term, consistent money with better benefits for their family life. Affiliate marketing is a great side hustle! Thanks for stopping by and good luck with your affiliate marketing business! Hi Janelle, how are you? I loved your Article about HUSTLE. I did not know the concept and definition. So, question: Would my online affiliate marketing website be considered a hustle? I love the idea that we can do what we have passion for and work as much we want, when and where we what to work and still making money. Your affiliate marketing website would definitely be considered a side hustle. You are in control of everything, you don’t answer to anyone else, and your success depends entirely on you. Good luck with your online business, and I wish you great success with it! Thanks a lot for the informative post on Side Hustle. I got new helpful insights via your post. I really had a different perspective on side hustle and your definition is an eye-opener. Great definition on Side Hustle – Turning our passion into Profits! Amazing! I really enjoyed reading your post. In this demanding and growing economy… Multiple source of Income is a must and that too it will be great to earn from what we love to do. Your recommendation is the same program which helped me to become a full-time blogger working from the comfort of my home. Thanks for guiding people towards a genuine program. Before I heard of the phrase “side hustle”, a hustle had always been what someone did to take advantage of someone else! So I was intrigued the first time I heard about people doing side hustles to make extra money. So glad to hear you are a success as a full-time blogger, and I appreciate you taking the time to visit my site. Any time you’d like to stop by and share your experiences, you’re more than welcome! Thanks again for the helpful post and very helpful. Looking forward to learn more from your posts. Well written & informative post. You clarified and explained really well the difference between a side hustle and part time job as I didn’t realise there were so many differences between the two before. Thank you for that. I’ll take a closer look at my ideas for creating additional income to be sure that they are good side hustles to develop so that I can maintain some flexibility with my schedule as well. Good luck at finding the perfect side hustle for you, and thank you for stopping by! This was a very interesting post. I have heard the term hustle on the side but I totally misunderstood its meaning. I enjoyed having this explained so well and perhaps I will spend more time doing some hustling on the side. I also liked the fact that you included some suggestions of ways to hustle on the side with a few good ideas to explore. The links to the different ideas to try was very helpful so I have kept a copy of that for further reference. You’re very welcome, and I’m glad you found the information helpful! This content of ours brings amusement on my side. You have had discussed the topic I believe so deliberately that it leaves to your readers points to ponder about generating income in a smart way. I am on the same niche as yours yet I’m still on the stage of researching relevant and informative topic like your content which I could be able to post on my site. I’m glad to have this opportunity to visit your site. It expands my horizon on what content best to offer to my site visitors. The whole idea of this site is to help people generate income streams that can enable them to become financially independent. Come back any time to check out my content–I’m happy to help!